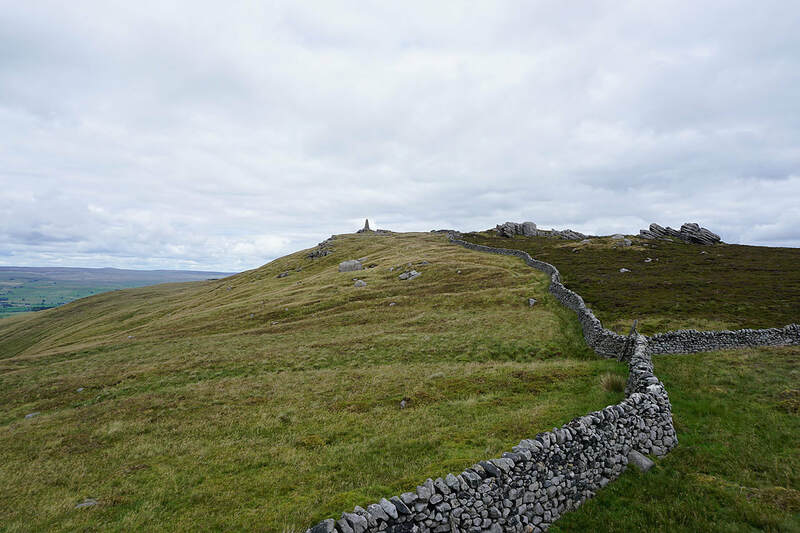 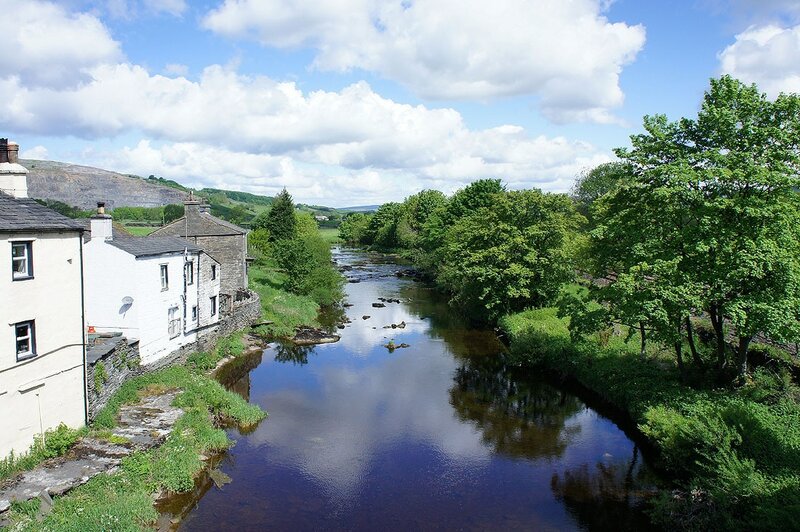 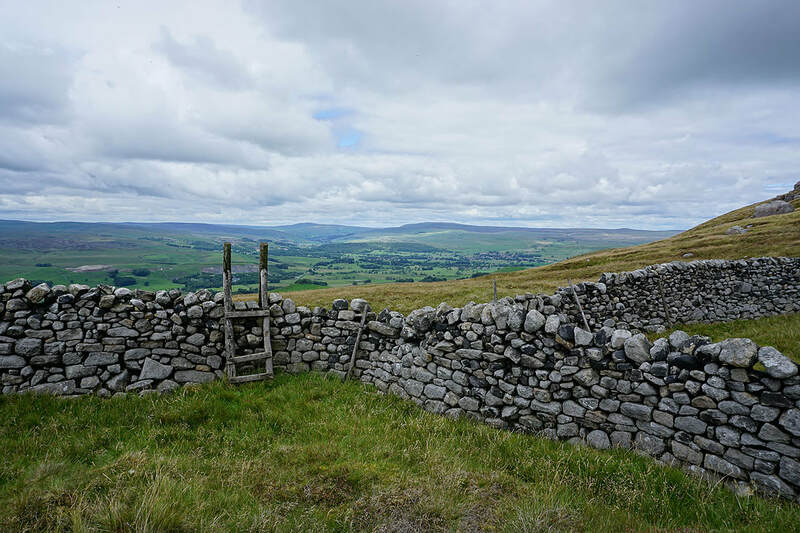 I decided to do Penyghent from Horton-in-Ribblesdale today but to make a day of it, extend the walk by heading off along the Ribble Way before doing the ascent and then heading back by going over Plover Hill. 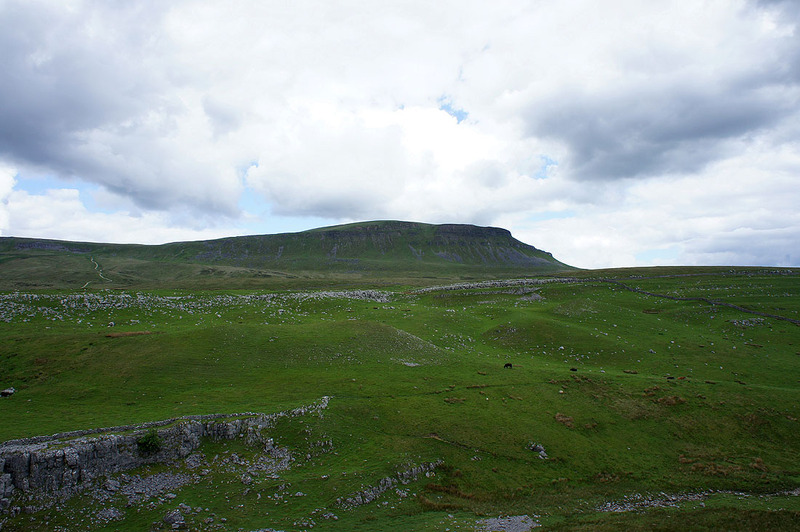 Horton was really busy on this Bank Holiday Monday and I don't know where everyone went to but the only parts of the route where I encountered lots of people were where I joined the path from Brackenbottom and on the summit of Penyghent. 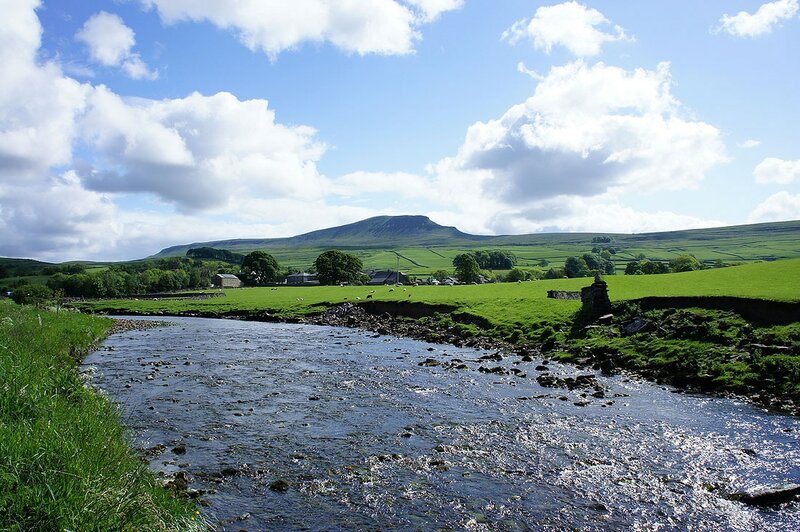 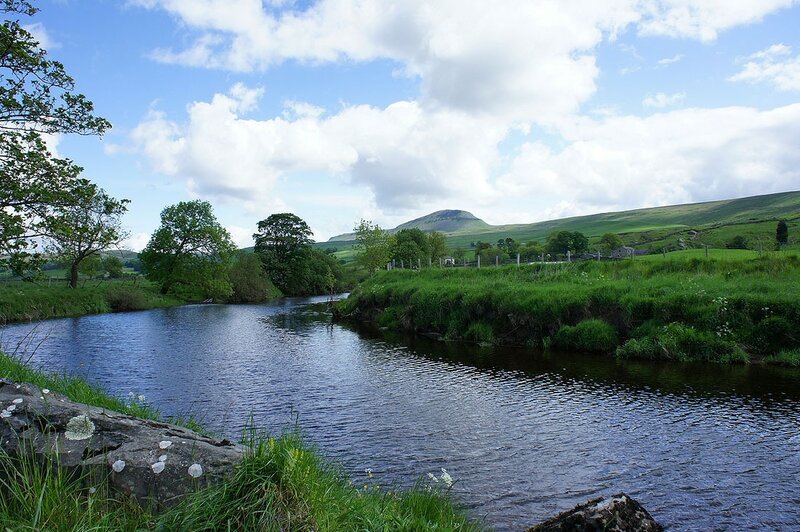 From where I parked in Horton I followed the Ribble Way down to Helwith Bridge. 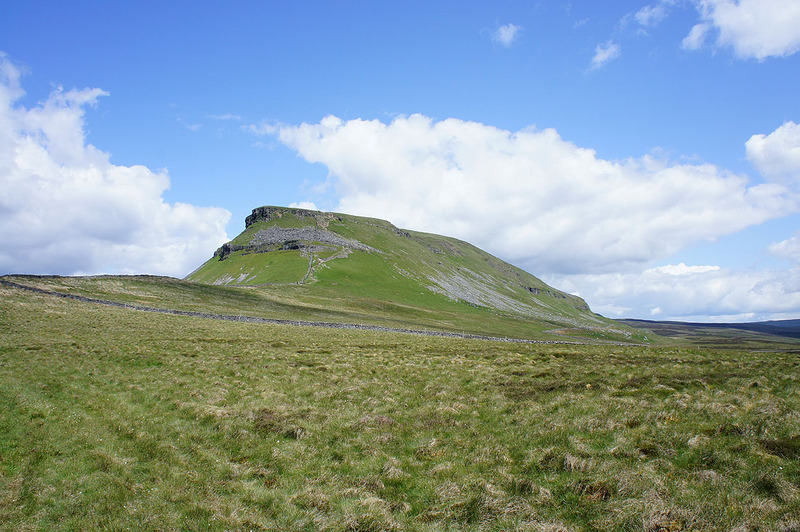 I then crossed over the B6479 Horton road to follow the track of Long Lane until it joins the Pennine Way for the ascent of Penyghent. 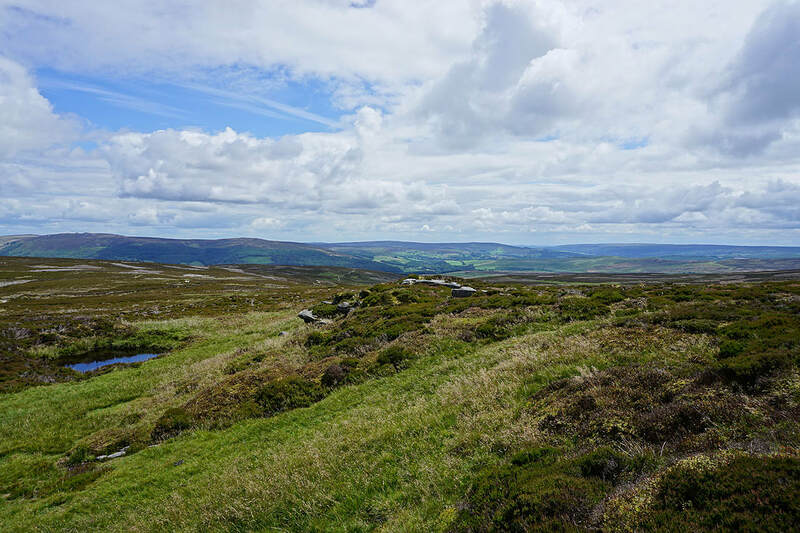 After having my lunch on the summit I then made my way across to Plover Hill and then down to the path across Foxup Moor. 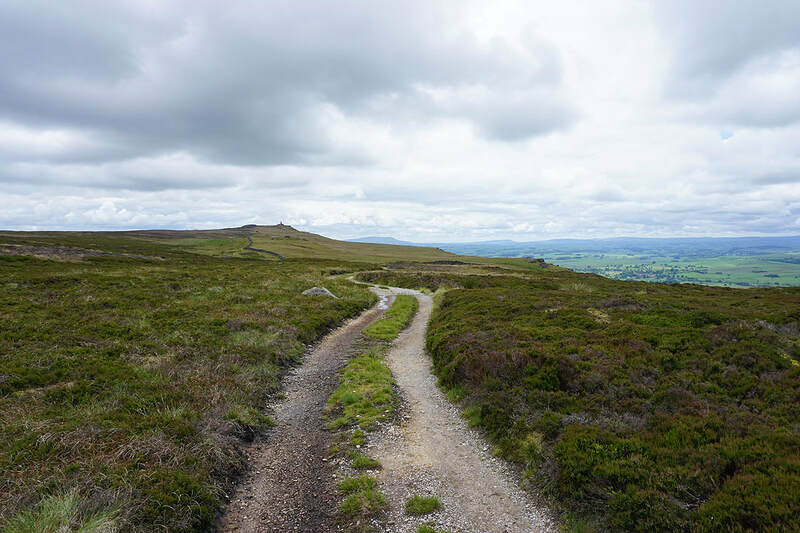 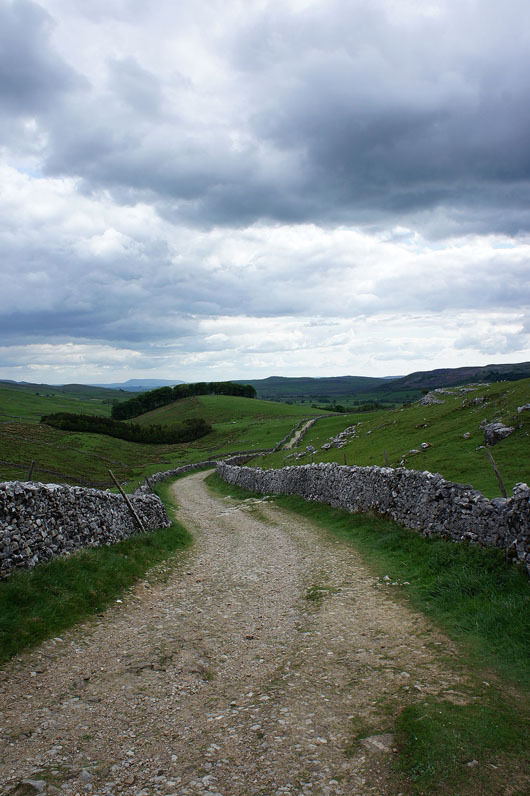 The route back to Horton was by this path and Horton Scar Lane with a detour to visit Hull Pot. 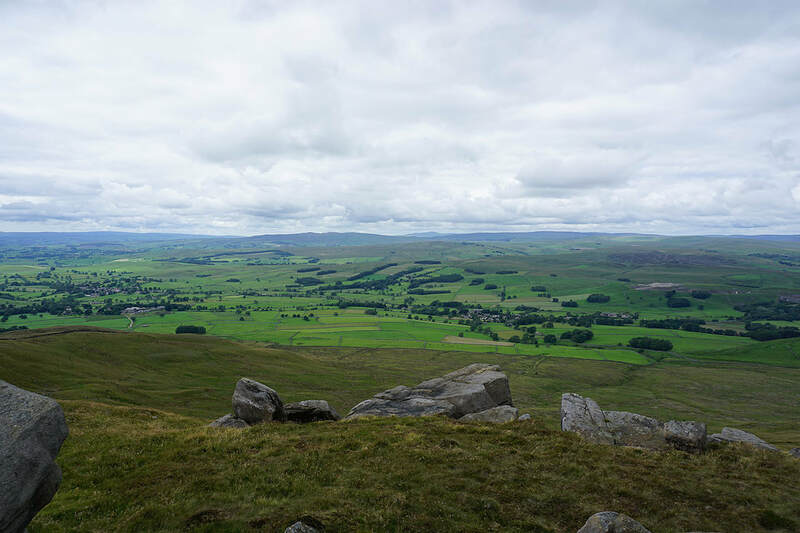 From Horton-in-Ribbledale the first part of the walk was to follow the Ribble Way down to Helwith Bridge. 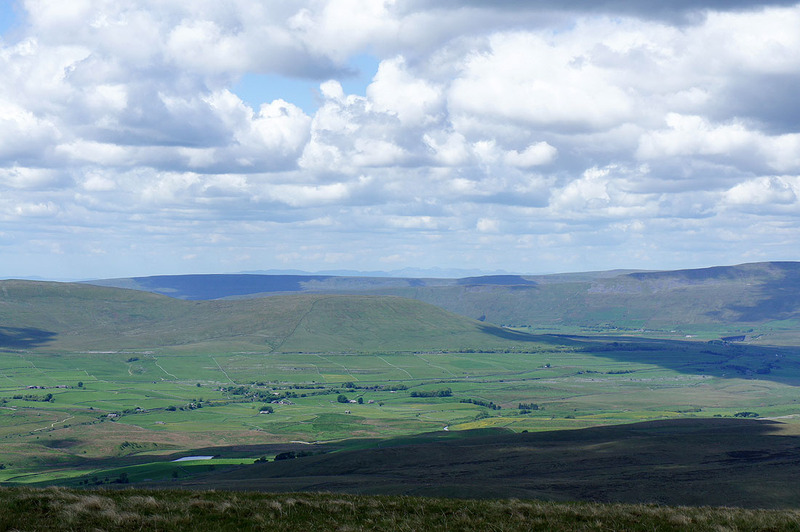 A shot of Penyghent through the trees. 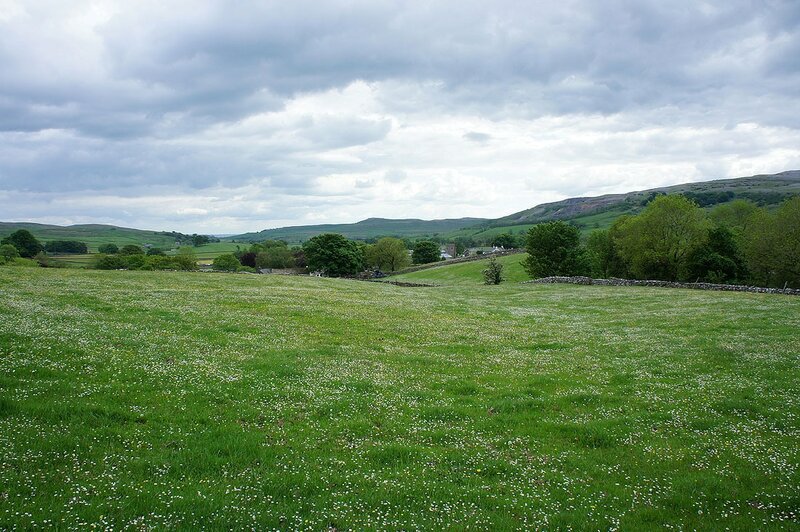 Another field of buttercups. 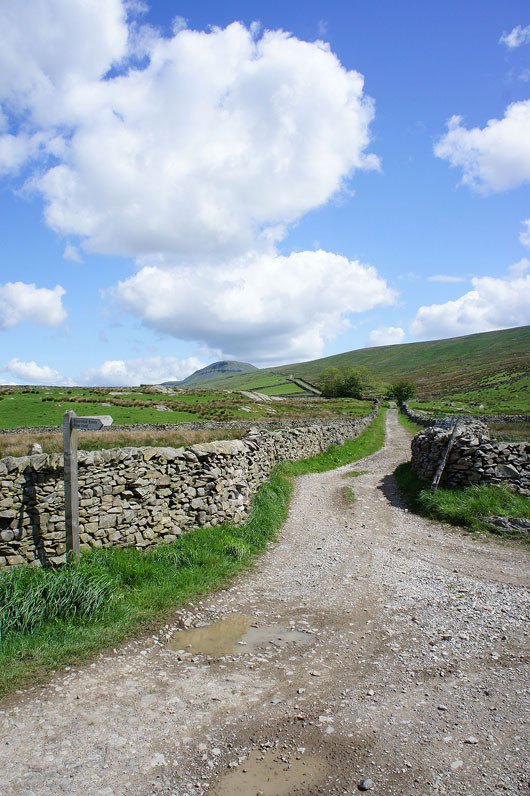 I've just crossed over the Horton road to the track of Long Lane. 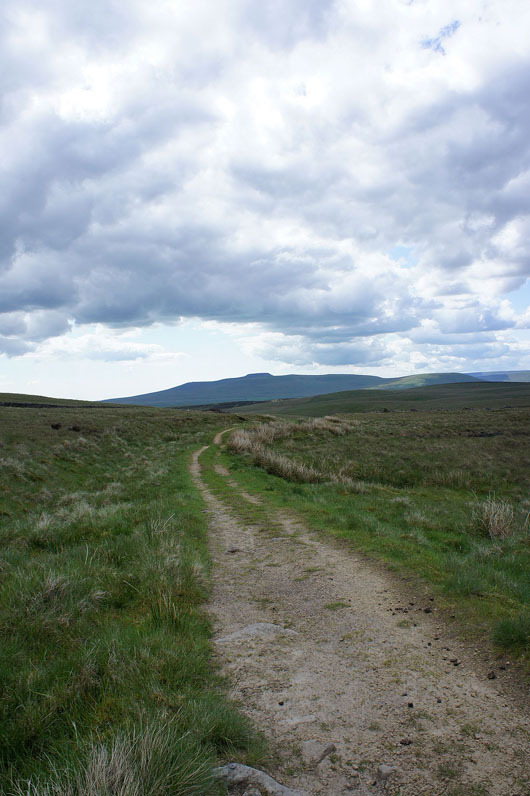 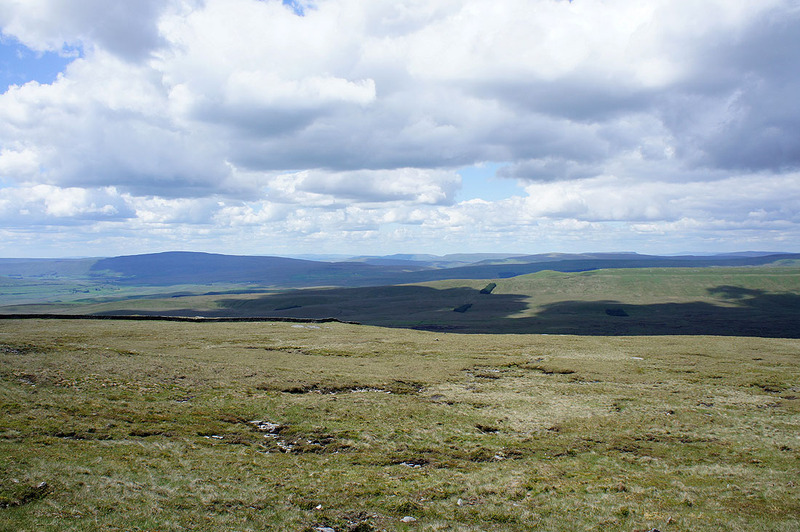 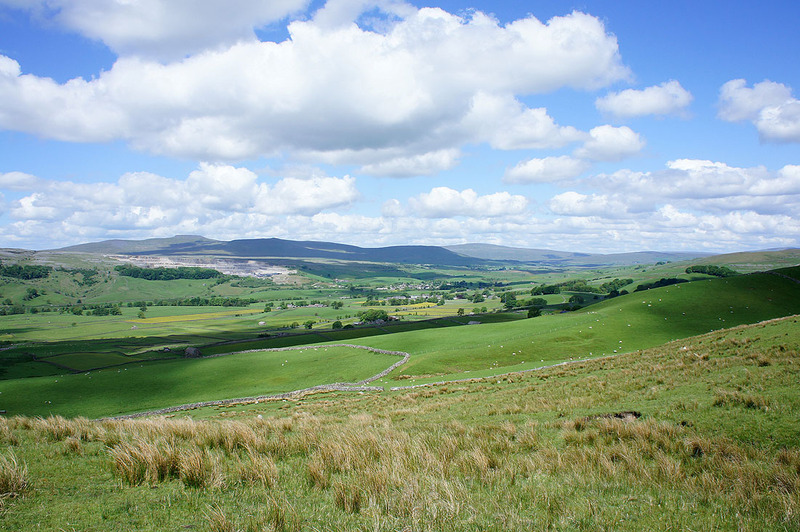 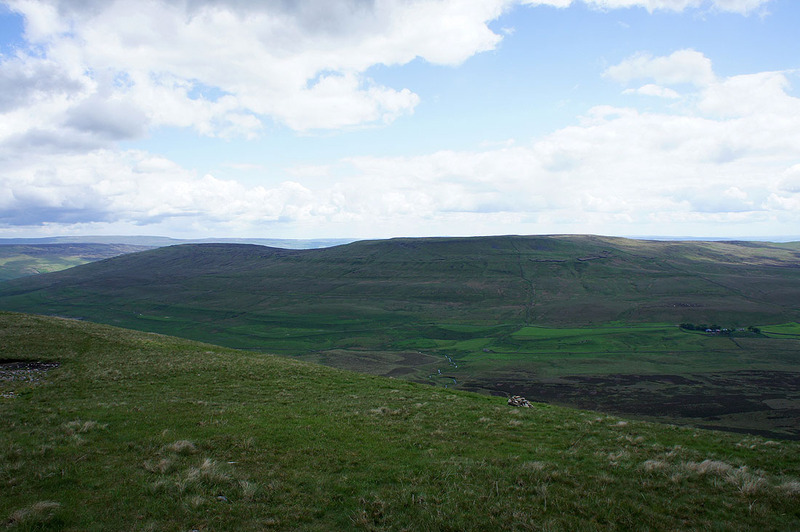 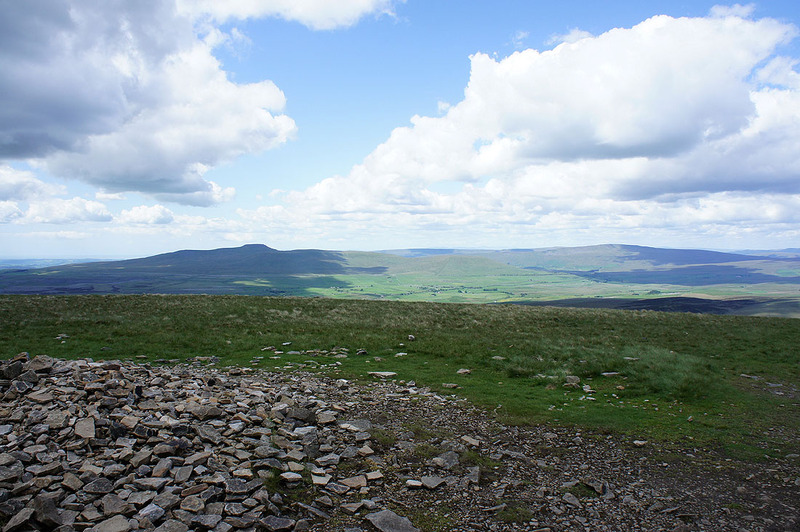 Some of the eastern and far eastern fells of the Lake District can be made out in the distance in the gap between Whernside and the Howgills. 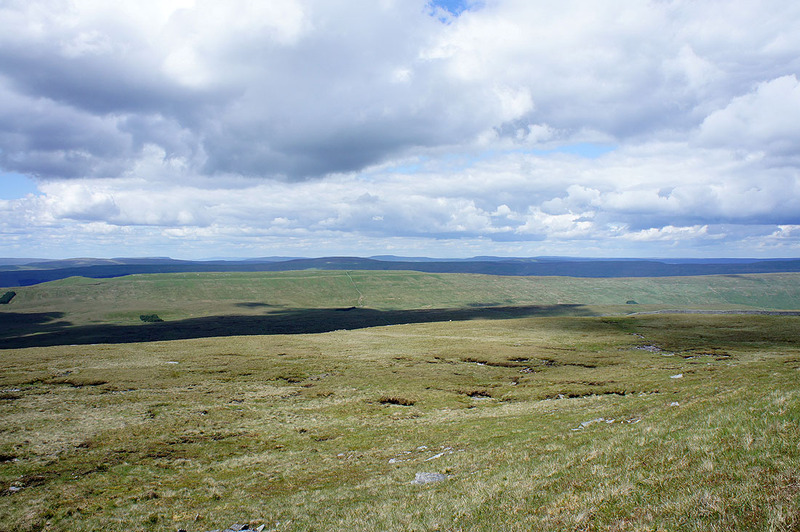 The highest point on the left is Helvellyn. 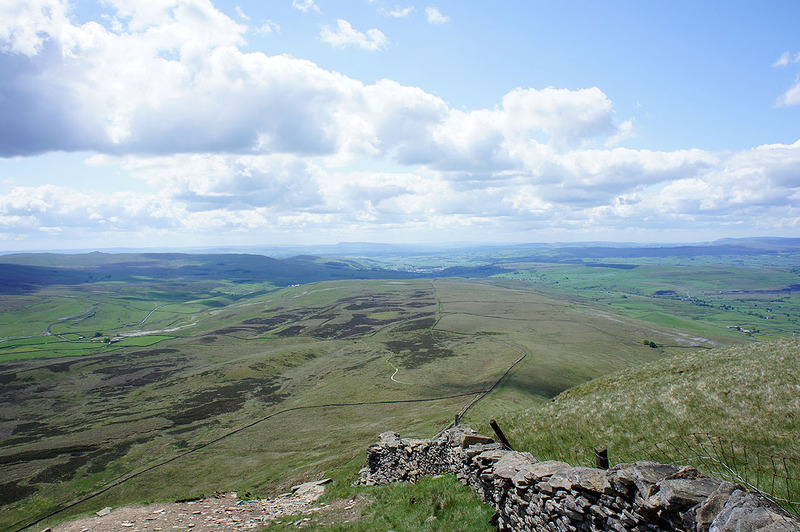 There's a great view to the north and northwest as you start the descent off Plover Hill. 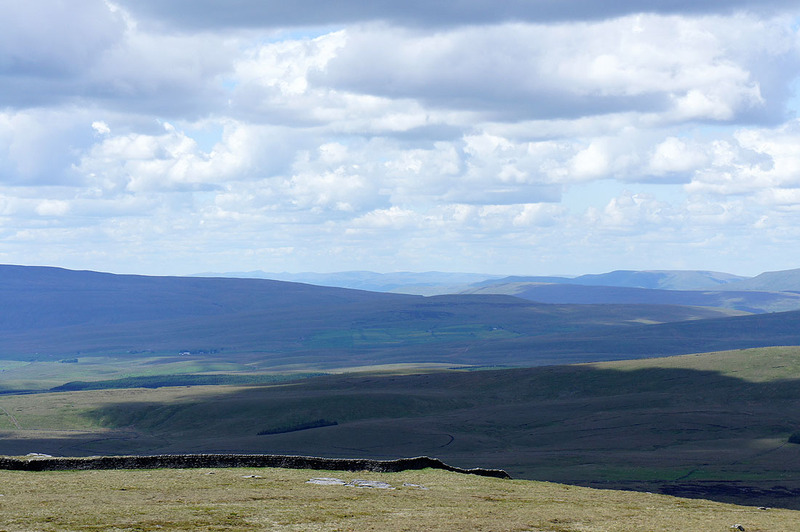 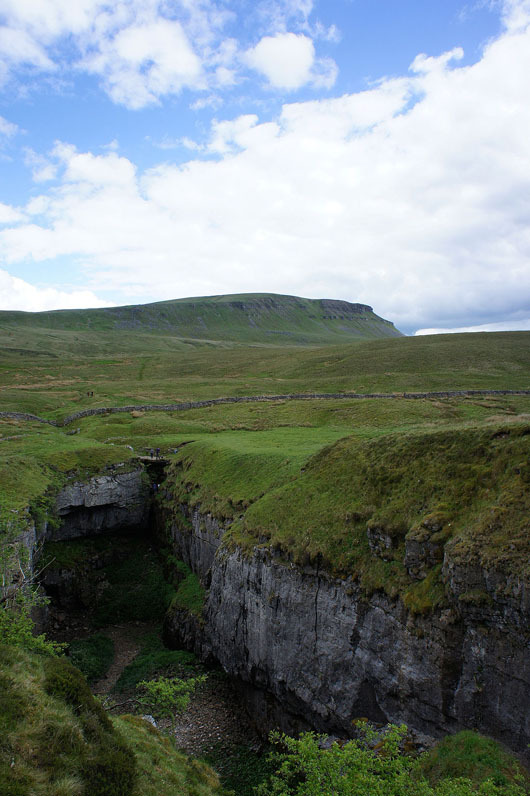 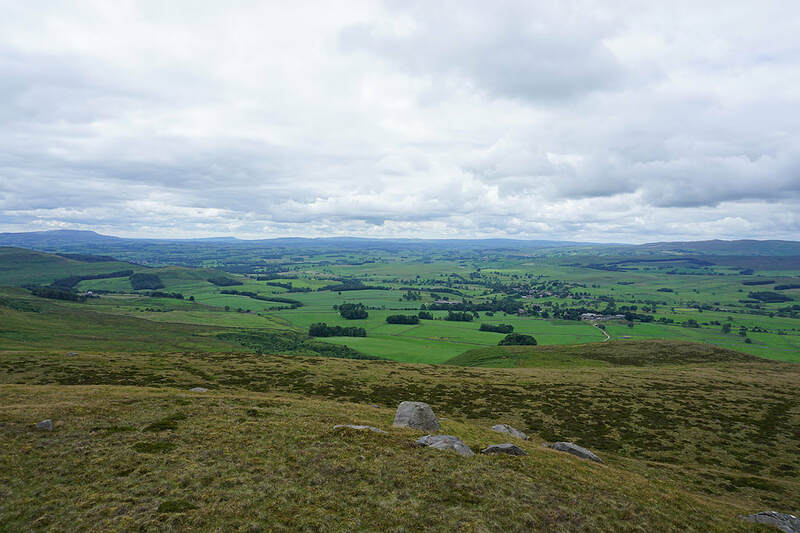 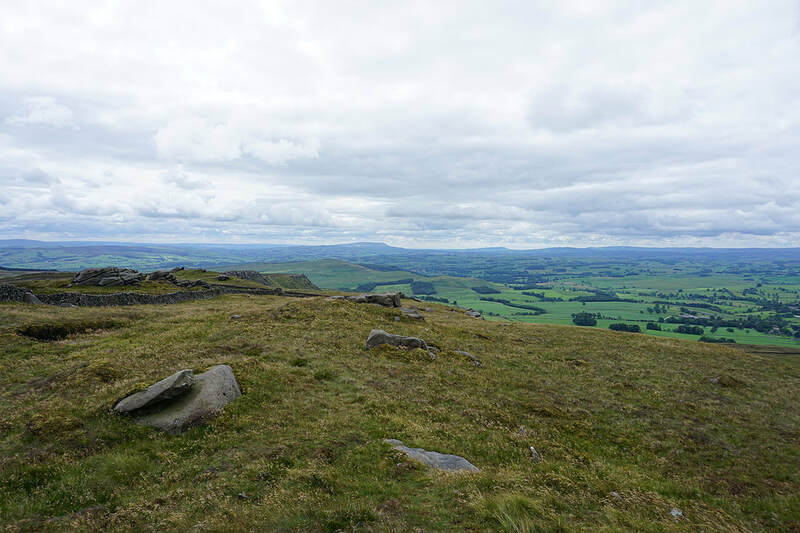 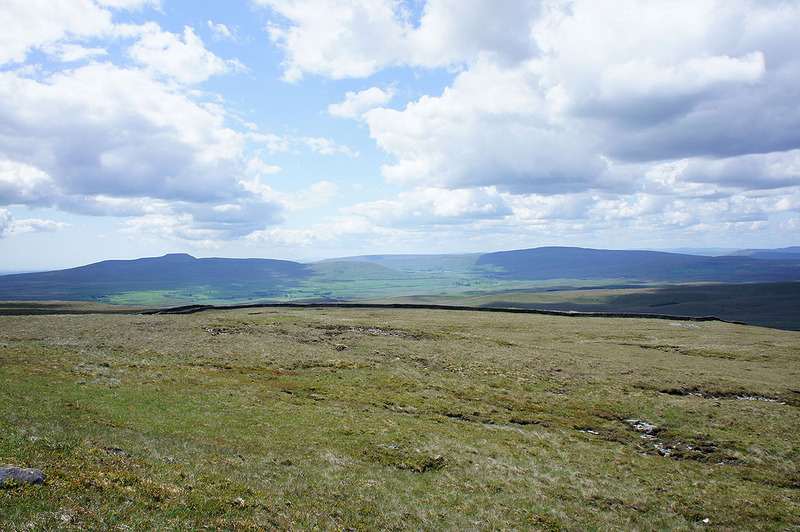 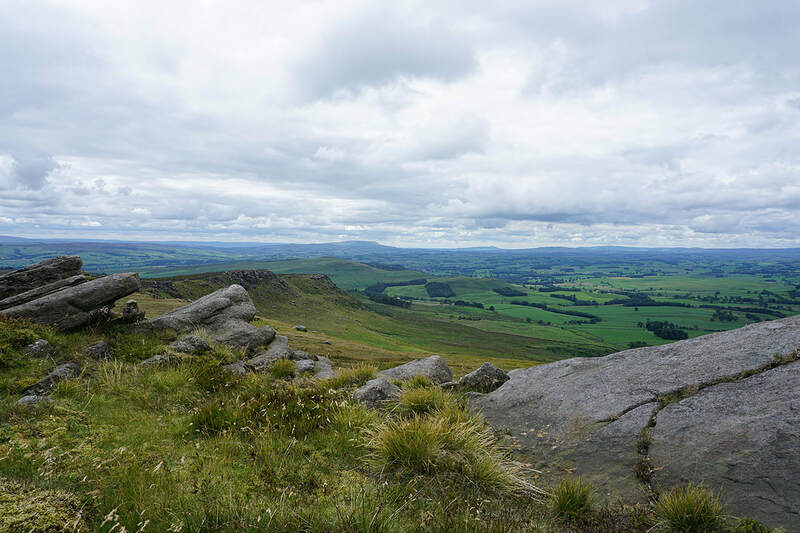 Whernside, the Howgills, Baugh Fell, Great Knoutberry Hill and Wild Boar Fell. 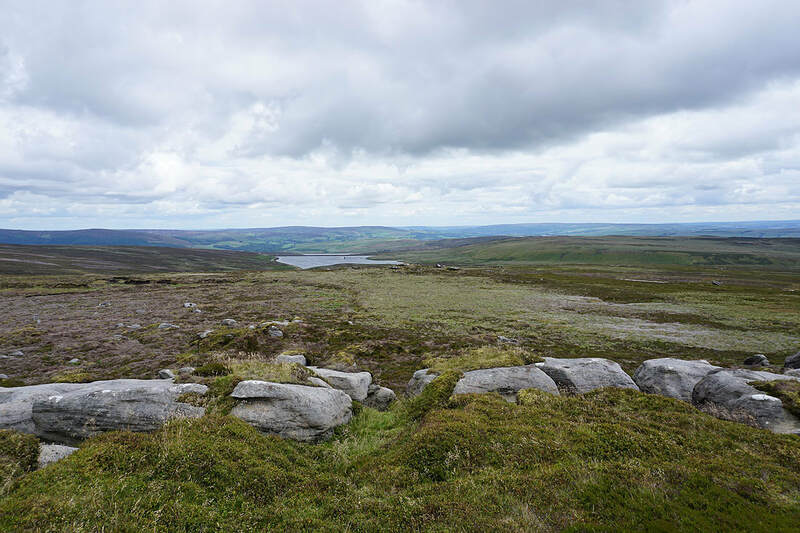 A couple of shots of Hull Pot. 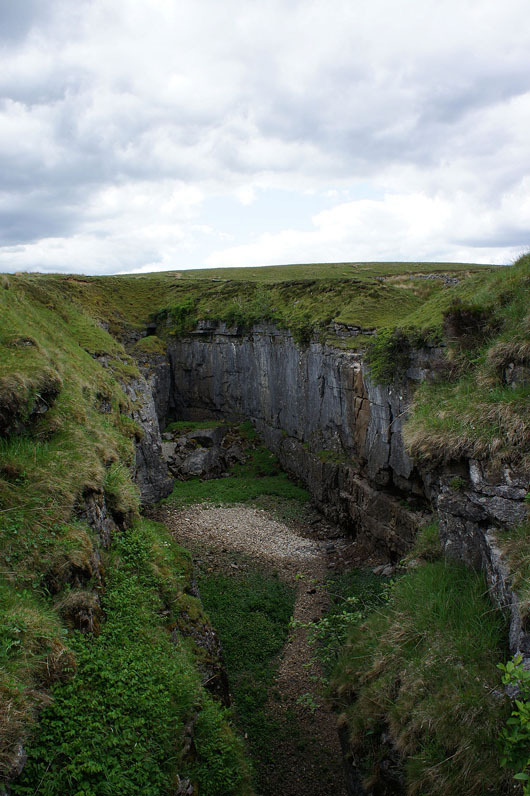 Just off the path and worth a look.